Thanks to Black Elk Speaks by poet John Neihardt, and to a lesser extent, The Sacred Pipe by Professor Joseph Epes Brown, Black Elk has become one of the most famous American Indians in history -- even though he was not a great warrior or leader. These books are about his spiritual visions and beliefs. Michael Steltenkamp took his fascination with Black Elk further than most. After studying with Joseph Epes Brown, he became a teacher on the Pine Ridge Reservation and claims to have become a confidant of Black Elk's daughter. 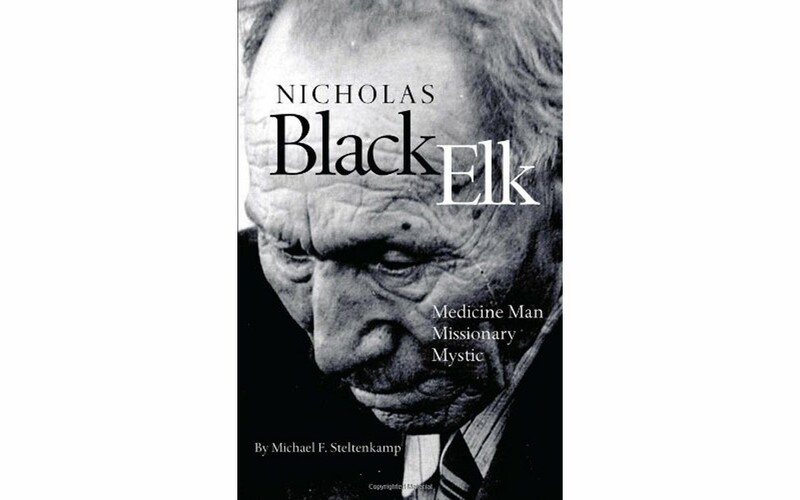 He learned of Black Elk's life after the late 19th century period that Neihardt wrote about, when he was known as Nick, a Jesuit-trained Catholic catechist or teacher who served as a kind of lay priest and missionary in Indian communities. Learning about Black Elk's work influenced Steltekamp to become a Jesuit priest himself. Steltekamp's book is less a biography than a scholarly work, in which he uses his sources and research to test the validity of what other books say -- primarily Neihardt's. The impression is of fairness and care, though the Jesuits almost always come out the better. His prose becomes emotional, even scornful, when correcting misimpressions of Jesuits and Black Elk's Catholicism, and there are other passages that are at best passive-aggressive. His facts in these instances might be correct, but these sections and passages support strong skepticism that he has escaped bias. There seems to be agreement that Nicholas Black Elk (like the Ghost Dance prophet known as Wovoka) was employed as a proselytizing Christian. Both seemed influenced by Christian doctrines and imagery. The argument seems to be whether Black Elk repudiated his Native religious beliefs in favor of Christianity or became disenchanted with Christianity and returned to earlier Native beliefs. Did Black Elk primarily use the imagery and stories of Native traditions to explain Christianity to other Indians (as Steltekamp seems to say)? Or did he use the imagery of Christianity to help explain the Native beliefs that were fast dying at the time (as scholar Alice Beck Kehoe suggests in her 1989 study The Ghost Dance: Ethnohistory and Revitalization)? Or could it simply be that Black Elk wove together elements of both, finding the commonalities, creating a synthesis of imagery and even practice? What made Black Elk Speaks so significant, for all its faults, was its role in reviving disappearing Native beliefs. The benefit for the whole society involves especially what those beliefs suggest about the relationship of humans to the rest of nature -- a relationship lost in industrial culture and in dominant versions of Christianity.